As the technology and designs moves forward, the vertical bike racks are becoming more popular. Having four bikes behind and small to medium SUV is just not right. The leverage and physics tells us, that the approach is doomed to fail. 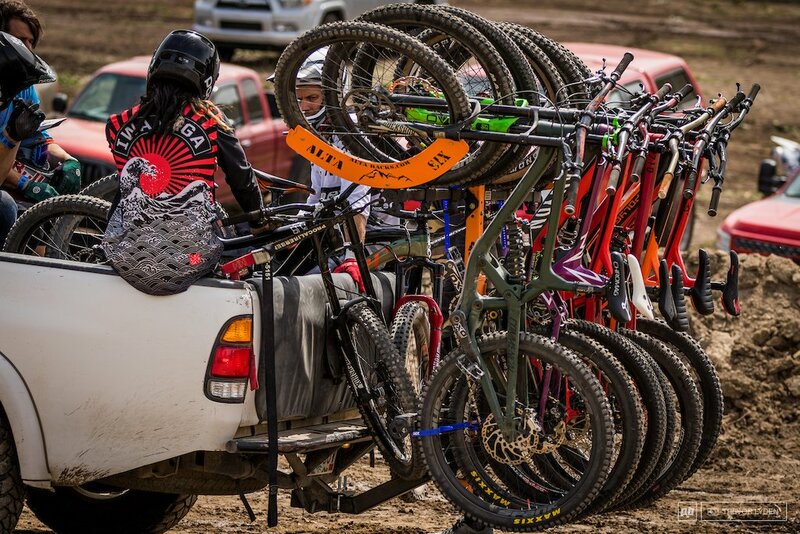 Not to talk about how hard it is to load four bikes on a horizontal rack. I use to fight that all the time, and then forget the order it and do it again. Sometimes it took close to 30 minutes to lad four racks, due handle bar and pedal clearance issues. Now comes the slew of companies building vertical bike racks. Guess what, not all vertical racks are created equal. Its cringe worthy that we are being asked to hang a 3,000 to 10,000 dollar bike from its handle bars shock mounts, or any other part of the body that is susceptible to abrasion and stress. Companies like hang 5 bike rack, north shore bike rack, totem pole bike rack, soft ride, and Drayton all make 6 bike hitch racks. Consider the prolong dynamic forces that are being applied to the bikes in those positions. Consider that these bike racks all put major stress and abrasive forces on either the bike components, or on carbon frames. If you are reselling your bikes and want to get maximum value back, then consider our rack. WE make no contact with the frame, we have highly engineered our products to last a life time and back it up with a life time warranty.